We are preparing to wrap up our blog series “9 things I wish they’d taught me in law school.” While preparing a new post to offer tips for lawyers transitioning from classroom to courtroom, we ran across an excellent ABA post written by Dennis Kennedy. In his post, Kennedy offers “Twenty Lessons for Lawyers starting out their careers.” He offers great nuggets of wisdom on learning firm culture, speaking at client meetings, developing networks and much more. Some lessons are painful, but many come from other lawyers generously sharing their experiences. “Some lessons are painful, but many come from other lawyers generously sharing their experiences,” Kennedy says as his legal lessons stem from his work in both small and large firms, and roles as both a partner and an associate. 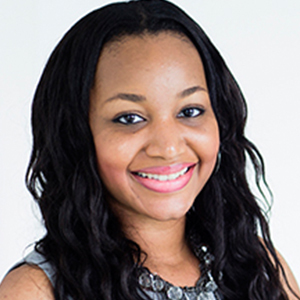 Check out Kennedy’s post for some great tips that will help you as you navigate your legal career. 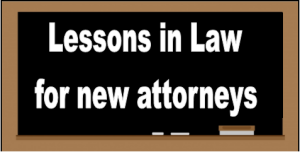 Are there any lessons you’ve learned or perhaps are still learning that you’d like to share with other attorneys?